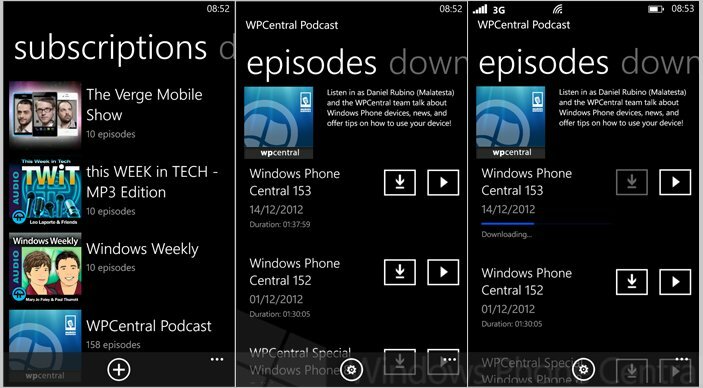 Windows Phone has a little problem for those of us outside the USA, it will not allow subscribing and downloading podcasts from the handset. Like any problem it has spawned a solution, when it comes to podcasts ‘many’ solutions. 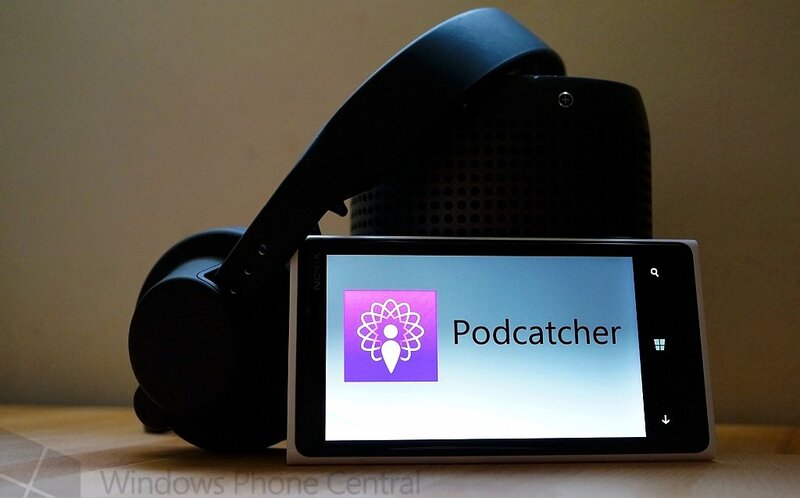 One of the latest to tackle this issue is Podcatcher, it has been on the market for only a short while but since its release it has been the subject of many rapid fire updates. As of yesterday the app had been bumped to version 2.0 and with it comes a long list of changes and improvements. We thought it was time we took a closer look at this podcasting newcomer to see how it stacks up. Could this be your ultimate podcasting solution? Read on.. If you are a fan of podcasts then you’ll need to find an app that will help sate your thirst for new episodes. Podcatcher is designed from the ground up to allow quick discovery of popular podcasts and the painless ability to subscribe and download quickly. Also, like any good podcast app it will remember where you left off in a podcast so that you don’t have to worry about finding your place again. After you have downloaded the app to your phone from the Windows Phone Store you’ll be presented with a rather blank Subscriptions page. You are invited to add some which you do by pressing the little + button at the bottom of the screen. The first page you are presented with is a listing of ‘popular’ podcasts. Subsciptions, adding a popular podcast, searching for one.. If you see nothing that takes your fancy from that small selection then you can ignore these, swipe over to the right and you’ll be presented with a search box. You can search for the name of the podcast if you know it or just use a keyword if you’re simply browsing. Once you find what you are looking for hit the subscribe button and it will be added to your subscriptions list, filling that empty void. If you are having problems searching out a podcast you can manually add the RSS feed into the app and it will grab the subscription that way. If you happen to use the gPodder service you can enter in your credentials to grab all you subscriptions in one go. Once you have your podcast subscriptions setup you will now have the option to view the content description of each episode and of course the choice to download at your will or simply stream it. For each subscription there is a settings button at the bottom of the screen, if you hit that you can choose to auto-update your podcasts. When it is on, new episodes for the given subscription will be downloaded to your device. Neat and simple. We would like to see the discoverability of new podcasts improved, for someone that is completely new to podcasts the selection of popular shows could be better. Instead of greeting the first time user with a blank screen it might be better to suggest a curated list of podcasts based on interest or offer a little guidance on how to best go about searching for content. Within the settings of the app you can also choose to enable ‘automatically continue playback’, normal behaviour would be Podcatcher asking you each time if you want to continue where you left off. If you enable this function it will just do it without prompting you, taking to where you need to be. You also have the option to delete any listened-to podcasts saving a little bit of time. 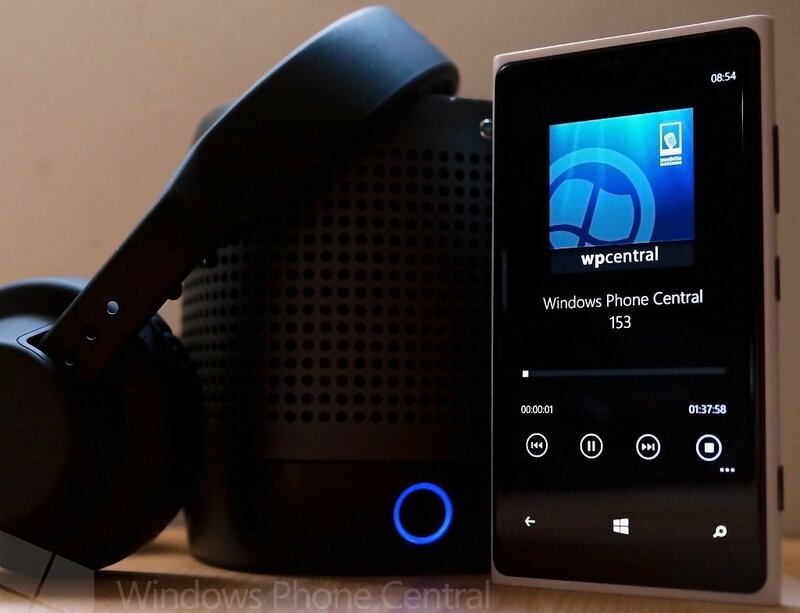 Another option available is the choice of trying to download the podcast using your cellular data plan, although the restriction is hard set to nothing more than 20MB by the Windows Phone operating system. We’d really like to see Microsoft allow us more control over how we use our data plan but that is no fault of the app. What is here works well and there is a certain pleasure to just how simple and straightforward it is. We wouldn’t be doing our job if we didn’t point out that we’d like to see a section built in to show how much space the podcasts are taking up on the device with an option to clear it all. Downloading episodes is a breeze and the ability to see the progress visually is a welcome addition as is the dedicated list of the downloaded content. When it comes to playback the app supports background audio so even if you move away from the app it will continue playing. Believe it or not there are still apps out there that don’t get this right. When you use the skip controls within the app they kick you along in 30 second chunks, you also have a nice big slider to move through the podcast by dragging it to where you want. The app moves with purpose and feels light on its feet, navigation, playback and usage are all dealt with swiftly. 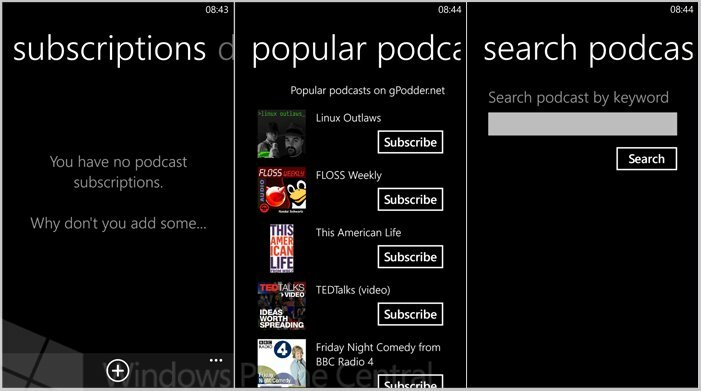 We would really like to see more emphasis put on providing users with help and tips but for anyone that is familiar with a podcast app they shouldn’t have any problems. Add a view to the subscriptions that shows downloaded episodes. Fix: do not lose download queue after restart. Podcatcher is coming along very nicely; we have decided to review it now in light of how much attention it has been getting from the developer. What we see here is a solid podcast app that does exactly what it says on the tin without any graphical nonsense or ugly UI elements polluting the experience. While it is a solid app it feels geared towards those that know about podcasts and we’d like to see more emphasis put on initial podcast discovery. A short tutorial or walkthrough at first launch would improve the experience immensely especially for a newcomer. There are also some additional tweaks and settings we’d like to see such as the ability to see how much space these podcasts are consuming on the phone and an easy way to wipe them all at one or via checkboxes. 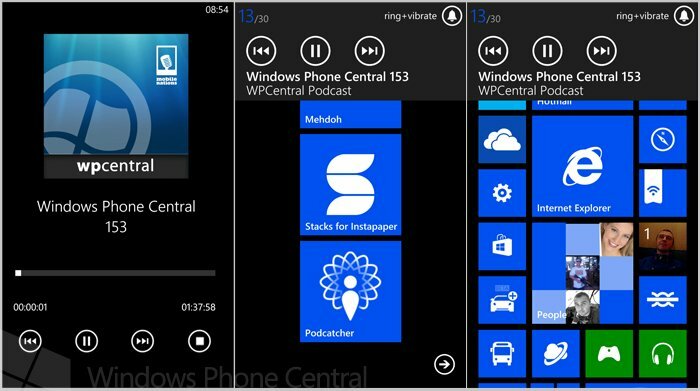 We’d also like to see the ability to pin subscriptions to the start screen for easy access as well as future updates to use Windows Phone 8’s unique new abilities. Double-wide now playing tile? These are all of course wants and wishes but for the moment the app does what it says and it does it very well indeed. There are many apps in the Windows Phone Store that even though popular still fail to get these basics right. Now the app has a solid foundation on which to build we look forward to seeing how it progresses. If you are in the market for a solid performer you should certainly give Podcatcher a spin, you might just like it. The app costs US $1.49 and you’ll have the chance to try it out for free, the trial allows only two subscriptions to be added. Donwload from the Windows Phone Store here. 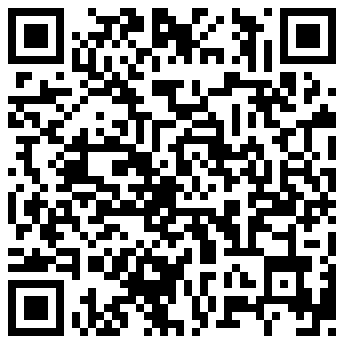 You can also grab the app using the QR code below.